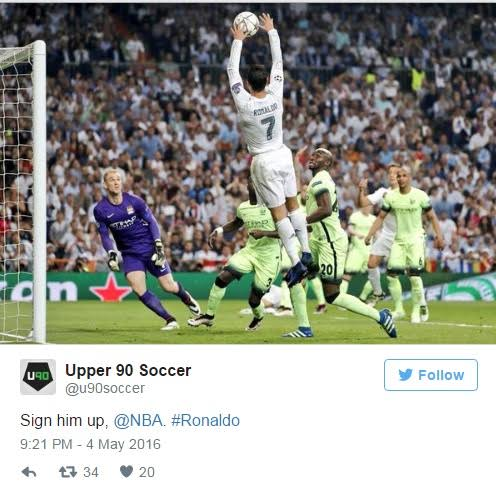 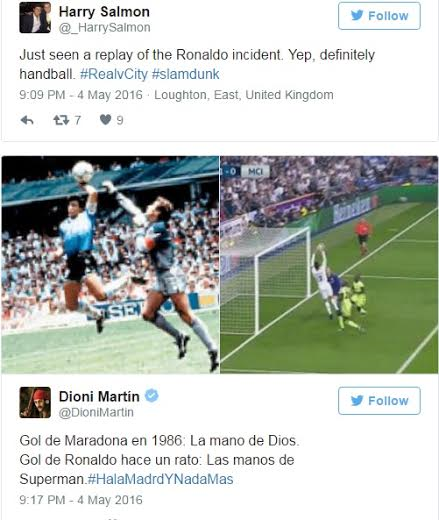 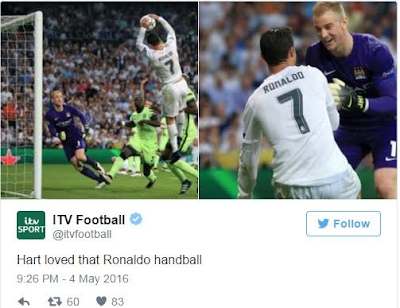 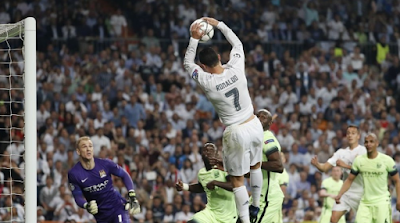 Perhaps paying tribute to the recently retired NBA legend Kobe Bryant, Cristiano Ronaldo jumped at the back post to slam dunk a cross into Joe Hart’s goal in last night’s champions league semi-final against Man City. 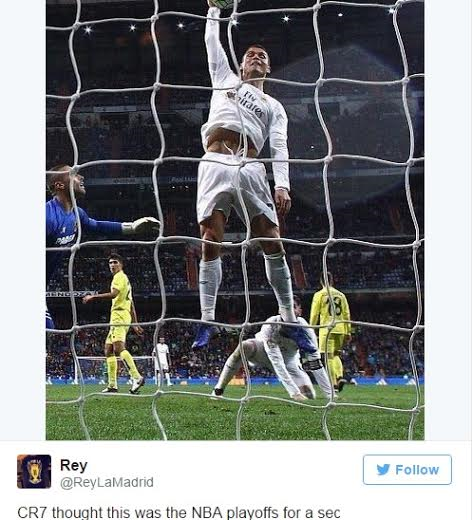 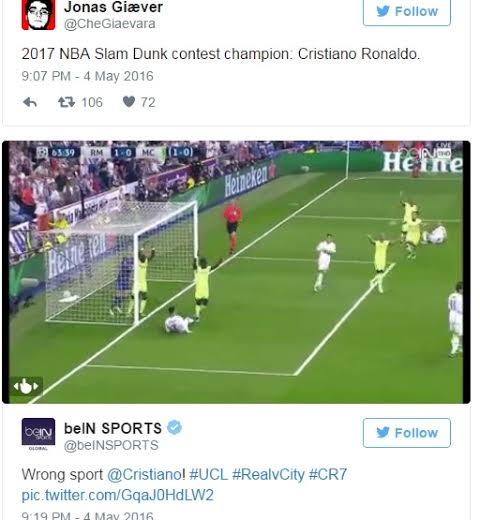 For a second, it looked like Ronaldo had forgotten what sport he was playing. 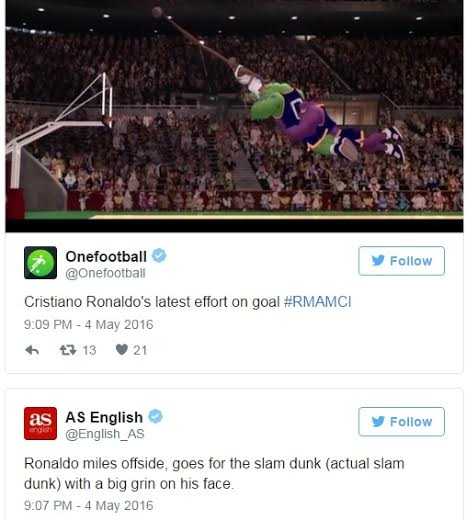 It was a hilarious effort by the Portugal captain as it looked like he resorted to a basketball move after all his footballing skills couldn’t land him a goal. 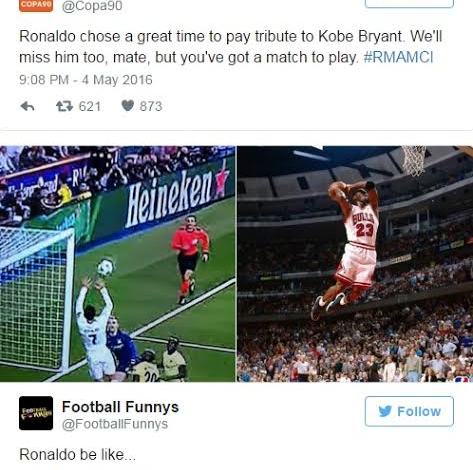 Lol…Trust Twitter users to react. 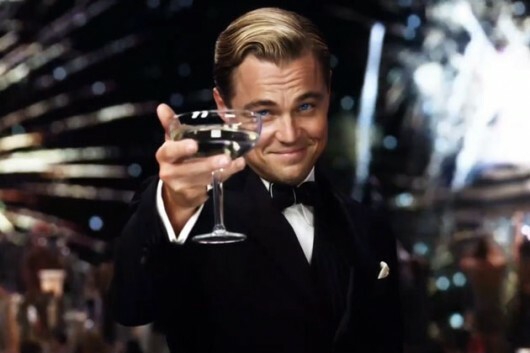 More tweets below..
Royaltygist Wishes Everyone Happy Valentine's Day!